Be sure to attend a regional FFLA conference! See the Conferences & Events Page for more info. New for 2016 - FFLA now supports online membership via a major Credit Card or PayPal. CBS Almanac examines fire lookouts - how we got here, how they evolved, and where we are now. Imagine waking up to the sun cresting a ridge of the Cascade Mountains. You look out the window, and through the dawn light you can see clouds still settled over a lush alpine forest. You’re in a tower in the sky, in the shadow of our tallest peaks, surrounded by wilderness. Help promote FFLA and HistoriCorps! The important mission to protect our nation’s fire lookout towers is about to receive the national publicity it deserves. But we need your help immediately! See the 6/6/2017 article in the Newsroom for more information! 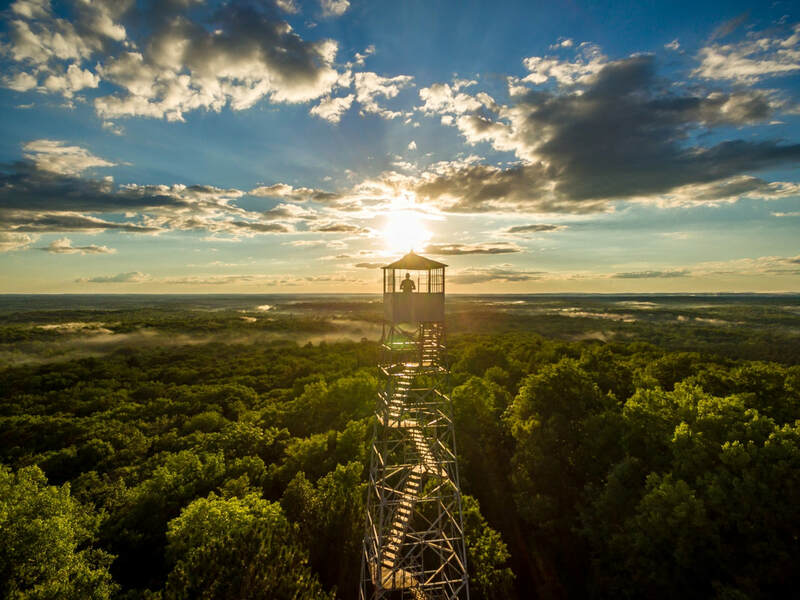 More than six decades after transitioning to newer methods, Pennsylvania is returning to a tried-and-true approach toward combating forest fires: fire towers. Help build a Watchman's Camp in Greenville Maine! The Little Snowy Top fire lookout in the Salmo-Priest Wilderness has burned to the ground, according to an September 3 Idaho fire dispatch report. See the story below. There were 10,000 lookouts, scanning the wilderness for signs of smoke. Now just a few hundred remain, and they pass the time hiking, writing and knitting. See the story below.